Miguel López de Legaspi. Image credit: By Celestí Sadurní i Deop (1830-1896) [Public domain], via Wikimedia Commons. 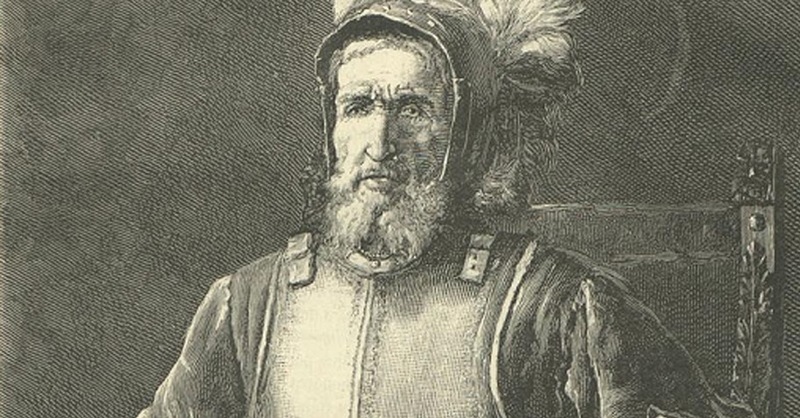 History tells us that Fernão de Magalhães (Ferdinand Magellan), the Portuguese explorer who sailed under the flag of Castile (Spain) in search of the Spice Islands, arrived in the Philippines in 1521. The age of conquest, however, did not really begin until almost half a century later in 1565 when an expedition led by Miguel López de Legaspi, acting on orders from Felipe II, King of Spain, arrived in the country. In fact, in the interim, there were two other expeditions – both abortive – that were commissioned to try and further explore the western Pacific, including the Philippines. One was led by Garcia Jofre de Loaísa and sailed from the Spanish port of La Coruña in 1525. The other was led by Ruy López de Villalobos and sailed from Jalisco in Mexico in 1542. While largely unsuccessful in setting up a foothold for Spain in the western Pacific or the East Indies as the area was called at the time, López de Villalobos is nonetheless remembered in history as the person who gave the “western isles,” as the Philippines were known at the time, the name Las Islas Filipinas (The Philippine Islands) in honour of Felipe II, then crown prince of Spain. De Legaspi’s initial activities upon his arrival in the Philippines were conducted mostly in the Visayas. Like de Magalhães before him, he eventually found his way to Cebu. It was here that he established his foothold in the country and quickly became immersed in the often internecine and tribal nature of Filipino society at the time. It was not until May 1570, more than five years after he first arrived in the Philippines, that de Legaspi would send an expedition to explore the island of Luzon, of which he had heard so much previously. It was from an account of this expedition that we first hear of the earliest Hispanic contacts with Batangas and its people. De Legaspi gave the command of the expedition to his trusted Colonel Martin de Goite and his own grandson, Captain Juan de Salcedo. 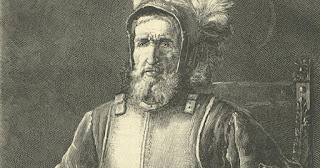 De Goite was a Basque like de Legaspi and many others in the expedition that sailed for the Philippines from Mexico in 1564. He was originally Captain of Artillery2 but took over from Mateo de Saz as master-of-camp (the equivalent of colonel) after the latter’s untimely death in Cebu. The expeditionary party was made up of twenty sailors and ninety arquebusiers4 and many friendly natives from Cebu and Panay. It sailed from Panay on the 8th of May on board the artillery-armed junk (a type of Chinese sailing vessel) called the San Miguel; the frigate La Tortuga; and fifteen praus (a prau being a Malay boat propelled by either sails or oars) manned by the natives. The expedition passed by the island of Sibuyan on its way to Mindoro, where some of the praus engaged two Sangley (as Chinese merchants were known at the time) vessels in skirmishes. The party also stayed in the island for several days to interact with the natives and also to seek information about how to get to Manila. The natives with whom de Goite and his companions had become friendly thought that they were being foolhardy for attempting to go to Manila with so small a party. Our assumption will have to be that this was Balayan Bay, as can be drawn from a subsequent narration in an unsigned document of what transpired later in the expedition. The town from which they sailed for the last hop to Luzon was also called Mindoro; and the way the voyage had gone, there is every likelihood that this town was what is present-day Puerto Galera. When de Goite crossed over to Luzon, probably on the third week of May in the year 1570, we had our first documented venture of Spanish conquistadores into what would one day become the Province of Batangas. A map by Fr. Pedro Murillo Velarde showed Balayan Bay linked by a channel to Bombon or Taal Lake..
What de Salcedo and company found was “a medium-sized lake, around which seemed to be many people and much cultivated land.” As they searched for a fort about which they had earlier been told, they ran into an ambush. Natives let fly a volley of poisoned arrows, one of which would injure de Salcedo in the leg. The arquebusiers quickly went to work to prevent the natives from releasing another round of arrows. De Salcedo’s men gave chase as the natives retreated into their town, which the Spaniards were able to take after killing forty of the natives at the town’s gate. They eventually caught up with de Goite in Balayan, where the expeditionary party would stay for three or four days before moving on to its goal of reaching Manila. 1 An Historical View of the Philippine Islands, by Joaquín Martínez de Zúñiga, translated by John Maver. London. 1814. 2 Basques in the Philippines by Marciano R. de Borja. 3 Taken from a footnote on an unsigned document entitled “Relation of the Voyage to Luzon” published in Blair and Robertson’s The Philippine Islands 1569-1576 Volume III; as are other details of de Goite’s and de Salcedo’s trip to Luzon in 1570. 4 An arquebusier was a soldier armed with a by-now obsolescent long-barrelled firearm called the arquebus. 5 A league being an obsolete and variable distance measure, usually three miles. 7 The 1754 eruption of Taal Volcano would block the channel with debris and reduce it to what we presently know as Pansipit River and consequently cause the waters of the lake to rise.